Sebastian Vettel claimed the lead from poleman Valtteri Bottas off the start, while newly-crowned quadruple world champion Lewis Hamilton was set to start from the pit lane with a new engine and a car set up for overtaking. Mercedes had their hopes set on an early Safety Car, and when multiple collisions involving Esteban Ocon, Sergio Perez, Daniel Ricciardo, Kevin Magnussen and Romain Grosjean took place on the opening lap, an early Safety Car it was. Hamilton took advantage of the chaos ahead and his superior engine power to leap up to P13 on the restart, and the next few laps saw the Mercedes driver and Daniel Ricciardo perfectly placed to pick off the cars ahead. 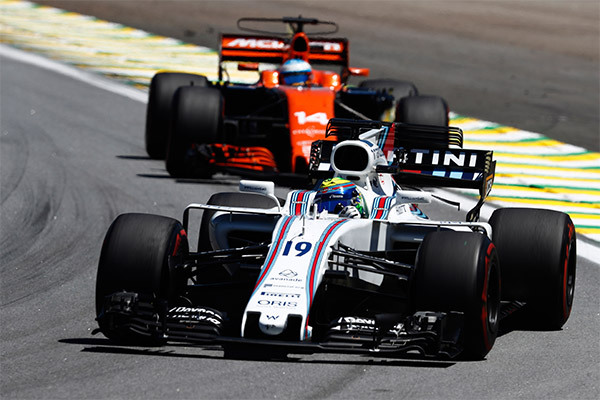 Fernando Alonso spent much of the afternoon battling with Felipe Massa, who was determined to give a good showing to the Brazilian fans at his final hometown outing. "I'm really emotional today, because of all of you guys,” Massa said during a special podium appearance following the race. “Thank you very much for everything that we passed together, for all of the support and energy I felt here." Alonso lined up in his best starting position of the season, and a combination of his own racecraft and a reasonably high rate of attrition among the midfield cars, the Spanish racer was able to take the chequered flag in P8, one place behind his retiring former teammate. Both Lewis Hamilton and Daniel Ricciardo would have been worthy winners of the fan-voted ‘Driver of the Day’ award for their performances in Interlagos on Sunday, but it was Hamilton who claimed the crown following a recovery drive that saw the champion climb from a pitlane start to a near podium finish. Following a crash at the start of Saturday’s qualifying session, Hamilton was out of contention without having set a timed lap. The Mercedes team elected to give their driver the best possible chance of success on Sunday, starting Hamilton from the pitlane and equipping him with a new power unit and a car designed to help him overtake. And overtake Hamilton did, taking advantage of his superior engine power and ability to out-brake the competition to work his way up to fourth place over the course of 71 laps of the Autodromo Carlos Pace. A podium finish appeared to be within his sights for much of the afternoon, but a lap 67 lockup while chasing Kimi Raikkonen left Hamilton with no grip on corner exit, and the Briton finished eight-tenths behind the Finn. 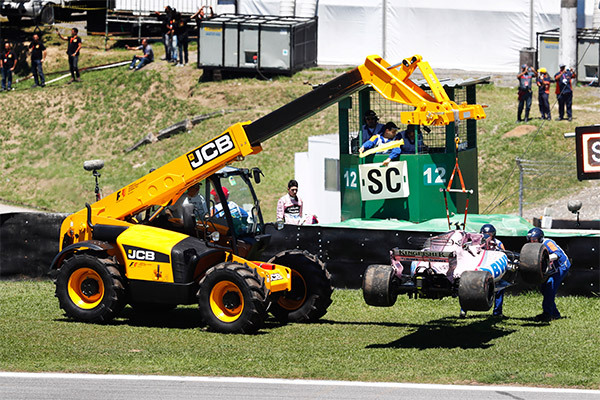 Ricciardo’s recovery drive was less spectacular, but impressive nonetheless. Following a ten-place grid penalty for new power unit components, the Red Bull driver started Sunday’s race in 14th place. 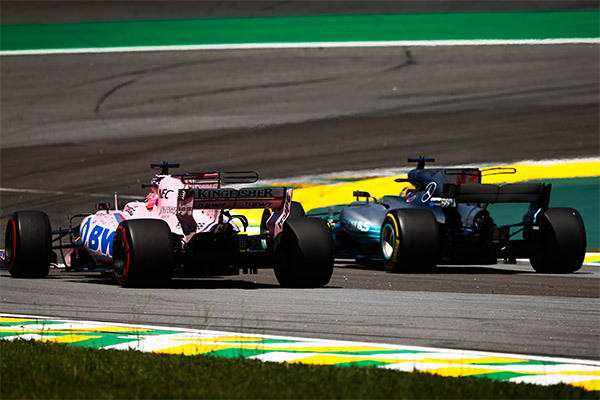 That disadvantage put the Australian in the perfect position to fall victim to the compacting of the midfield pack off the start, and indeed Ricciardo spun at the Senna Esses on the first lap, part of the drama that brought out that crucial early Safety Car. Following the incident Ricciardo was running at the back of the pack, and like Hamilton before him he made short work of the field ahead. By lap 15 Ricciardo was running in the points, and when all 71 were said and done he finished in sixth place, just behind second-row starter and teammate Max Verstappen. 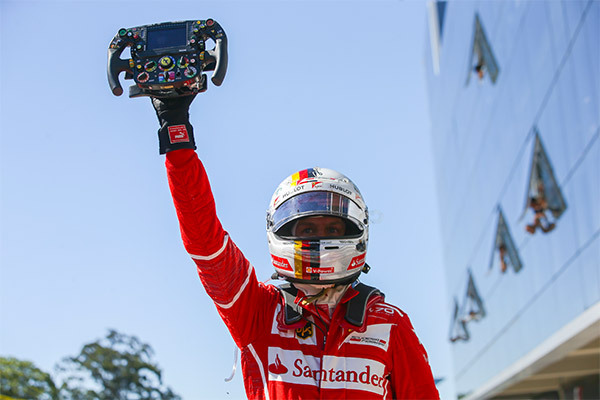 Grand Prix at Interlagos saw Sebastian Vettel claim his first win since the Hungarian Grand Prix in August. The Ferrari driver was able to grab the lead from polesitter Valtteri Bottas off the start, and held prime track position for the majority of the race, ceding position only during the pit stop window. The second half of the season has proved challenging for Vettel, who managed to sustain the drivers’ championship battle until the Mexican Grand Prix despite a first-lap collision with teammate Kimi Raikkonen and Red Bull’s Max Verstappen during September’s Singapore Grand Prix; engine trouble in qualifying for the Malaysian Grand Prix; and spark plug failure at the Japanese Grand Prix.